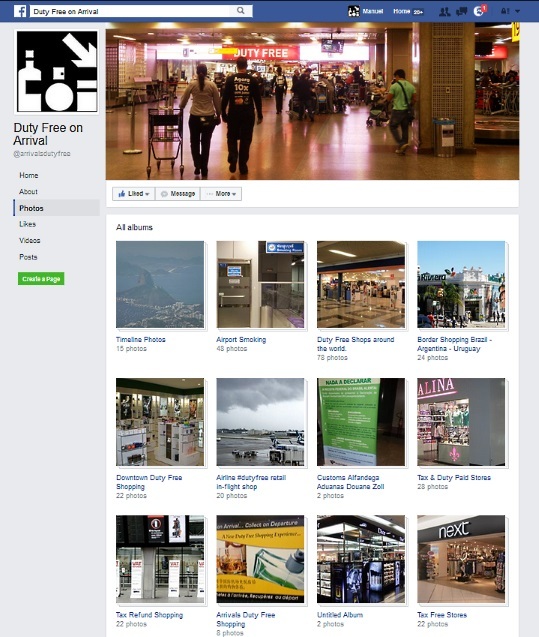 Please feel free to view our Facebook Arrivals Duty Free photo albums, where we keep an up to date record of the many stores visited around the world. This gives you an exact photo representation of the stores in many locations and by different travel modes. The albums are separated by the Duty Free shopping categories, such as in airports, on airlines, by ferry or cruise ship or crossing the border by land. We also have a section for Tax free shopping, Tax Refund Shopping and the various rules. We are adding photos to our Facebook Arrivals Duty Free albums all the time, but we are always short of accurate pictures from new destinations. So feel free to contact us with your images for display. Many people want to shop duty free, but travelers have many questions about what they can buy and where. If you have a question or a story about shopping on your travels, please contact us, this will help us and all our readers. You can tag us @arrivalsdutyfree or just search for Duty Free on Arrival we can also be found on Twitter and Instagram by the same name. Our mission is to help you when you wish to go Duty Free Shopping, so any information you provide will help us all. To search for stores or rules by destination, just go to our global directory for detailed information. Browse Duty Free stores by Country in our shopping guide for more detail. If you want to search in another language, just click the flags at the top of the page to check before you fly in your own language. Tax Free Shopping in Duty Free shops explained, what is the difference? People expect bargains on their travels, Tax Free shopping in airports or on airlines has always conjured up images of super cheap prices in the mind of passengers. Today, airports are lined with Duty Free stores, airlines with the seat-back catalogue and now that touch screen video. All designed to make you spend when travelling. But, for the travelling shopper there is a confusing array of rules, regulations, terms and prices to negotiate on the way to those bargains. Not to mention the Security or Customs hurdles that have to be overcome. One of the most frequented search terms online is “what is duty free?“, the other is “what is the difference between Tax Free and Duty Free?“. Please let us explain in a simple fashion. 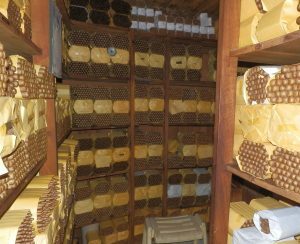 Cigarettes, tobaccos or cigars and alcohol like duty free whisky or wine, are all sold in Duty Free Shops without the inclusion of the normal Duties (Taxes) which are levied on these products in the local market. Originally these special taxes were known as “Excise Duties”. In high Taxation areas, such as Scandinavian countries, these products cost a fortune in their respective domestic markets due to these local (Excise) taxes and generally speaking, tobacco prices are just going up and up all around the world. So, when you fly, these products can often be bought much cheaper, because these special local taxes (Excise Duties) are discounted from the price for international travellers. Hence the name (Excise) Duty Free shop. Add to that the relevant local sales taxes such as the Value Added Tax (IVA, VAT, Gst), then the savings are substantial in the airports because both taxes are deducted for you. In some countries the different taxes added to the price of your Marlboro cigarettes, Absolut vodka or Johnnie Walker whisky can account for up to 70% of the local domestic price. Now you know why you can find a carton of Dunhill cigarettes for +/- US$20 in Dubai Duty Free, compared to a much higher domestic price elsewhere. And then there is what many airport stores describe as “Tax Free” prices and it is often a clear distinction, such as in the United Kingdom where stores used to be split in two between the Tax Free and Duty Free product sections. Of course, this depends on where you are and in which airport arrivals or departure lounge you are in, because every country has their own local rules. But, the simple rule of thumb is that Tax Free free really means only less the local sales tax, value added tax or gst as it is often known in Asia. These sales taxes are usually nowhere near as high as those Excise Duties levied on liquors or tobacco and more often than not, just a percentage of the local sales price. Perhaps between 5% and 20% of the net price. So, products like clothing, fashion goods, perfumes, watches, cosmetics, food, chocolates and really anything else you see in an airport store, (apart from tobacco or alcohol), only has the local sales tax deducted. Hence the different description of “Tax Free”. Next Tax Free, UK airport fashion store… there is no “Excise Duty” on fashion items, so the goods sold here are Tax Free not Duty Free. It means that the savings on goods described as “Tax Free” in airports or on airlines, may not be as great as you think. Often, such products can be bought locally at your destination at the same prices or cheaper. Why, because many destinations have lower local sales taxes and lower prices and/or their currency is weaker too. All these factors bring the prices down compared to your home airport. Of course, much depends on where you live, your local tax rate, your currency value and where you travel to. Tax Free or Duty Free? Which is why we advise travelling shoppers to use our global airport shopping guide and to compare the prices, products, rules and regulations at all their travel points, before they fly. And this is the service we provide. So, if you wish to pre-plan your holiday shopping, you can check and compare best duty free prices with our search portal. Just choose your language by clicking your flag, enter your destination in your own language and “go”! Author Arrivals Duty FreePosted on 4th September 2016 6th October 2017 Categories What is Duty Free?Tags Duty Free shopping, Tax Free Shopping, What is Duty Free?Leave a comment on Tax Free Shopping in Duty Free shops explained, what is the difference?